This week has brought me some good finds. I explored a new route north of the 40 in Ahuntsic (or Cartierville, I’m not exactly sure) on Monday morning. 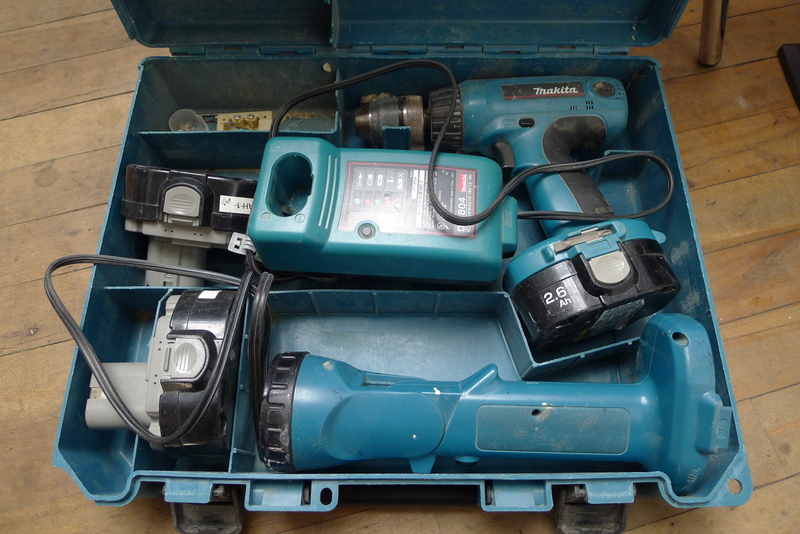 My main find there was this power drill. I charged the battery and it works fine. It’s a nice area, though sort of far as well. I might continue doing it on Monday mornings until it gets too cold. Yesterday morning I went again to TMR by car with a couple of friends which seems to be becoming a weekly tradition. We got some good stuff, including some nice lamps, an old trunk and some cool Egyptian decorative plates, but I forgot my camera at a friends house and thus was unable to take pictures. My best finds, however, came on Tuesday evening in the Plateau (rue Chambord). There were bags full of papers, books and other miscellanea. A lot of the books were very old (a few of which you’ll soon see). However, some weren’t in very good shape, and others were being eaten by this weird bug I hadn’t seen before (likely a common furniture beetle) which had burrowed holes through the pages. They had probably been stored somewhere slightly damp. Still, I saved around a bag full of the books. I was a bit worried about bed bugs but I’m quite certain that what I thought I might have seen – a long dead bug – may have also just been an oddly shaped piece of debris, or perhaps one of these furniture beetle things. It could have also been a dead bug from an infestation that occurred years and years ago. In short what I saw was definitely not conclusive. Regardless, better safe than sorry. Despite finding no other evidenced I baked everything I found here in the oven on the lowest setting for around 30 minutes. Bugs can’t stand the heat. 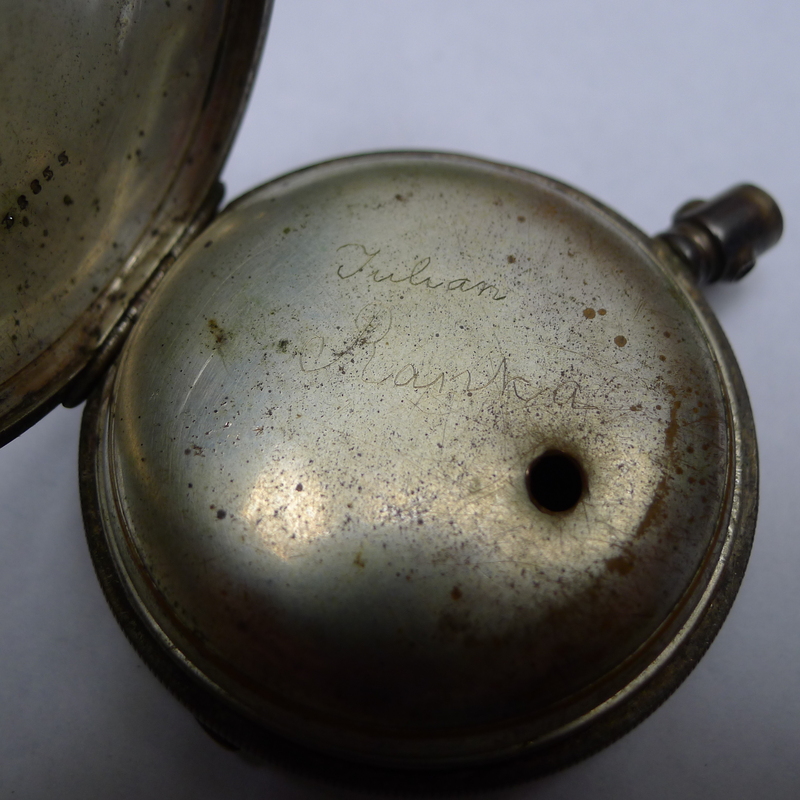 I found two non-functioning “Smiths Empire” pocketwatches and a 80% Silver pocketwatch case in a little bag. 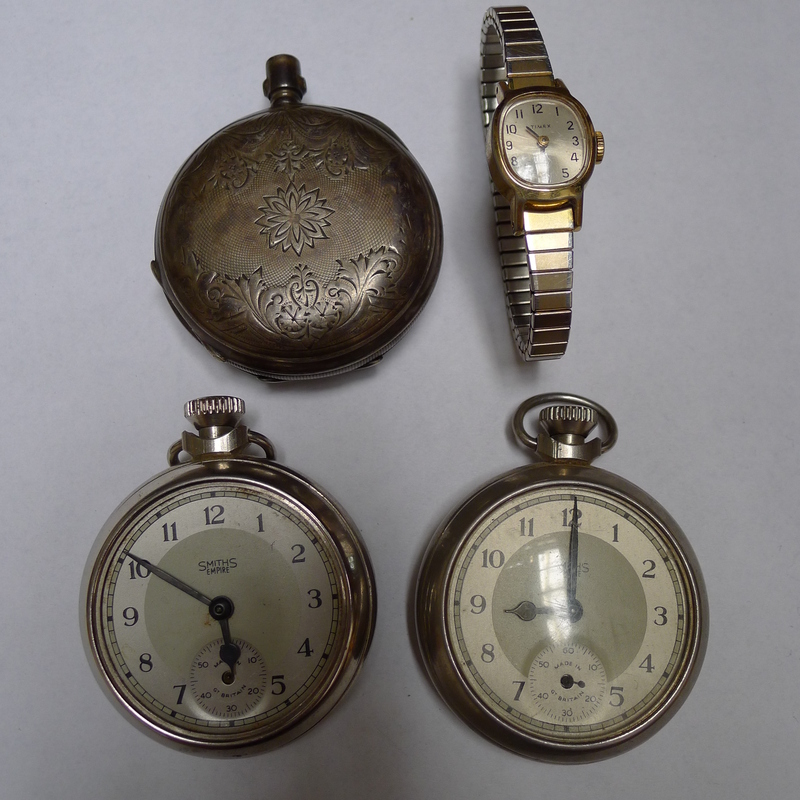 The Smiths Empire watches were probably made in the 50s, the other case I would guess dates to a bit before the turn of the century. The old case is quite beautiful. Engraved inside is the name Julian Ranka. 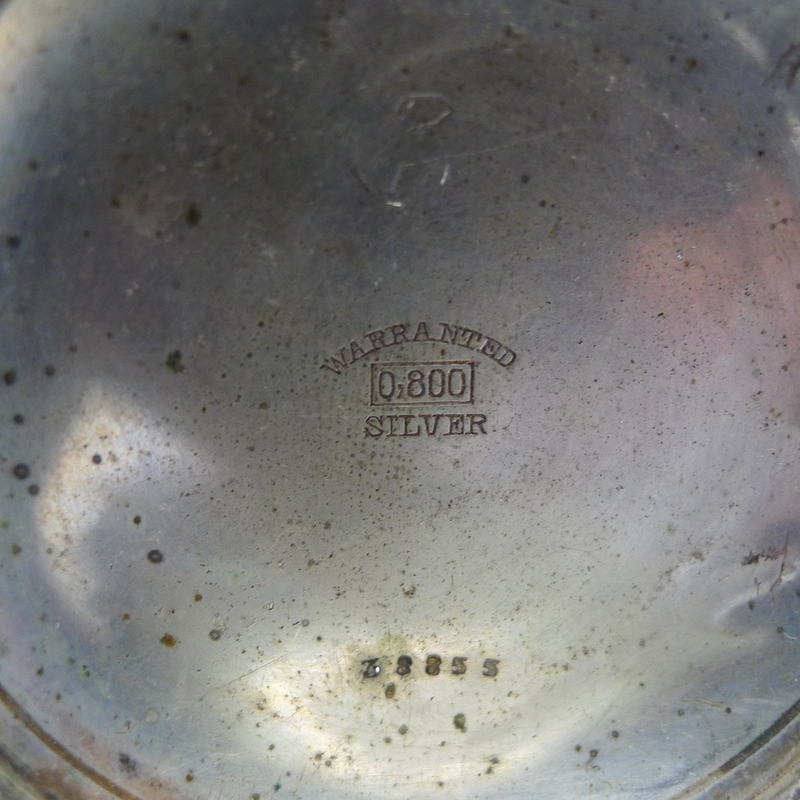 You can see a picture of the engraving below. I figure all together I can probably sell this stuff for around 50$ on Ebay. I’m on a bit of a vintage glasses hot streak lately. I found four pairs a few weeks ago and this pile contained a few as well. I’ve got to figure out what to do with them. 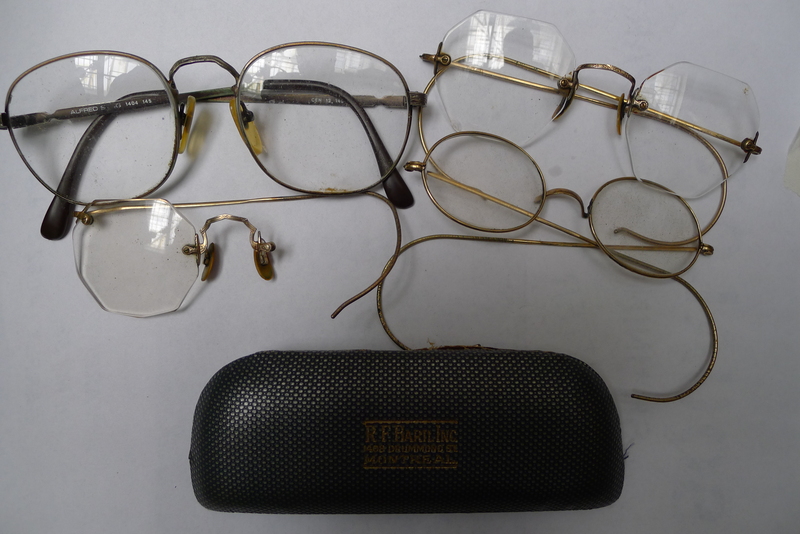 I might bring them to the vintage eyeglasses store to see if they want to buy them. If not they’d make a great lot on Ebay. 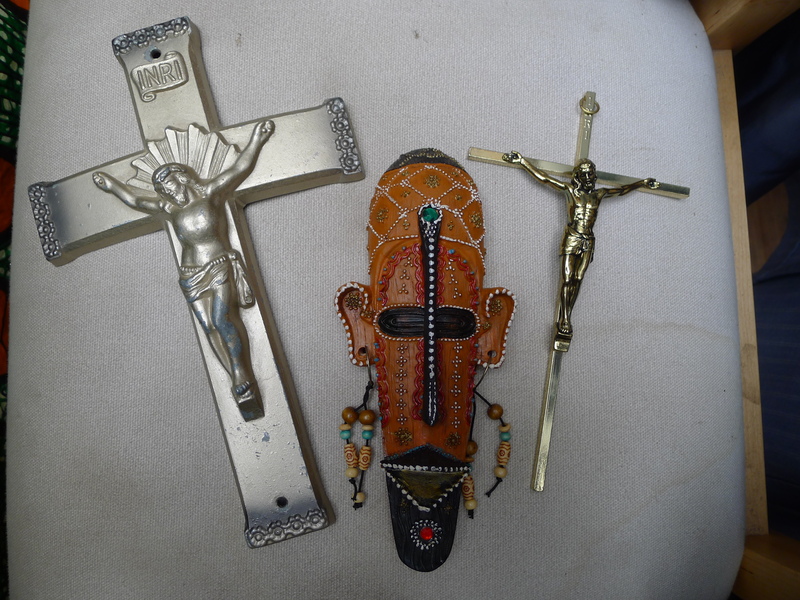 A couple of crosses and some odd decoration. 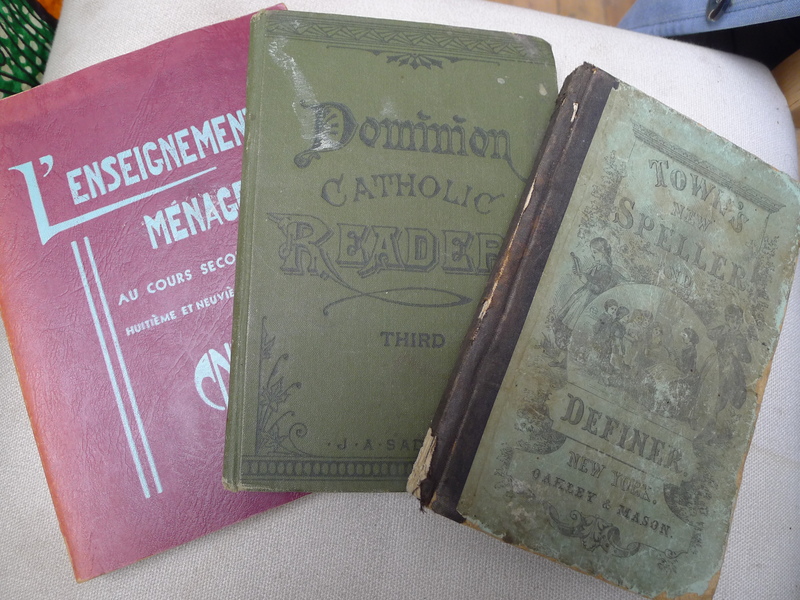 Here’s a few of the old books. I still have some more to sort through, I’ll let you know if any of them are particularly noteworthy. These are all school books. The first looks to be a high school cooking class textbooks from 1958. The second is a “treatise on elocution” (verbal expression) written for students and teachers and published in 1886. The last, “Town’s New Speller and Definer,” focuses also on pronunciation but also spelling. It was published in 1866. My favourite, however, is this book. 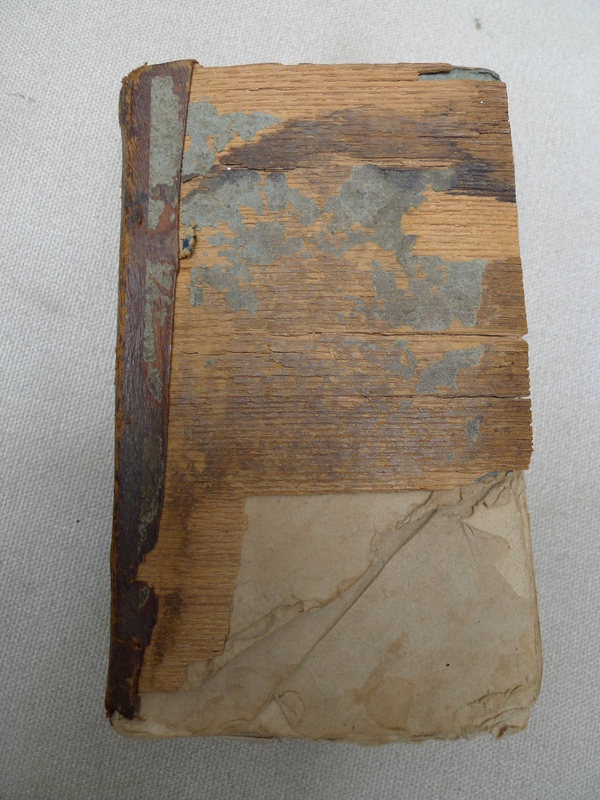 I knew it must have been pretty old because the cover is made out of wood or bark. There’s a message written lightly in pencil as well as a name that seems to begin with “Jean.” Any ideas as to what it says would be appreciated, the writing is fairly hard to read! The book is in decent shape for its age. The pages look to all be there, though some are a bit bent and folded. Pretty cool, right? I think it might be my oldest find of my trash picking career! I head to Rosemont and the Mile End later to see what the trash offers me this time. Hard to read, but the jist of it is “This book belongs to…..and for he or she who finds it, please return to …..
Love your pocket watches and glasses..you’re on a roll! How did your garage sale go last weekend? am frequently impressed/intrigued with your finds, again so today. Fantastic watch finds.Also great power drill find in Cartierville.Finally you did go to Ahuntsic-Cartierville to check the trash.I live in downtown and if I had to move out,I would go there.Ahuntsic is in many stretches a very nice,clean,verdant neighborhood and you should go there many times.Also,please check out Upper Westmount and Middle Westmount on curbside garbage pickup day and recycling day several times before it gets too cold.You might strike gold there. Friday morning,i.e tomorrow is garbage and recycling pickup day in Cote St.Paul.Do you have the time to go there? It’s written in french “Marie Pelerin (?) Ce livre appartient à Mme Céline (…?) ceux ou celle qui le trouvera se (…doit?) 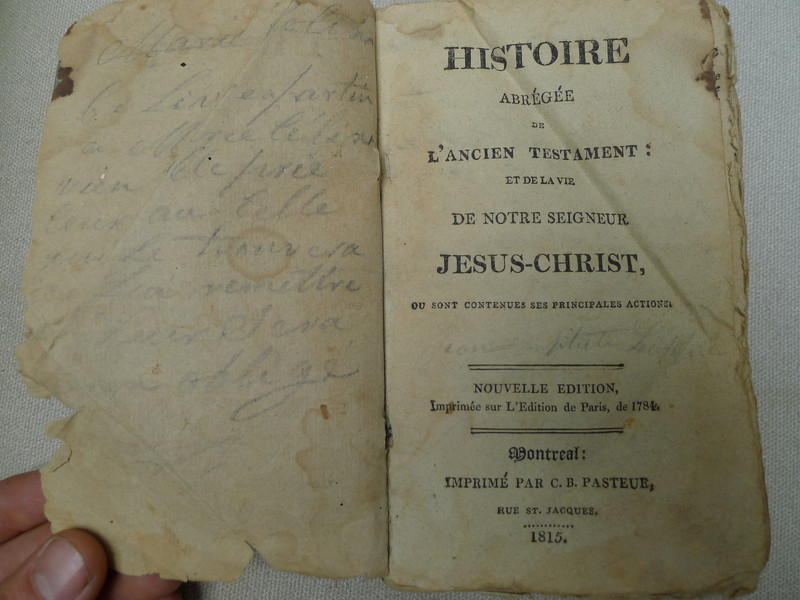 lui remettre (…) sans quoi oblige” wich means something like “Marie Pelerin This book belongs to Ms Celine (…) whom ever find it should bring it back to her (…) to oblige” And on the other page, I can read Jean (…tecte?) Laff(ite?). It need some research!